Driving the news: As the New York Times’ Mike Isaac reported, and Facebook confirmed to Axios, Facebook CEO Mark Zuckerberg has decided to integrate the back-end infrastructures of Instagram, WhatsApp and Facebook Messenger so that users of all three can directly message one another. The plan is still early and exploratory, according to Facebook. Reorganizing the codebases for Facebook’s messaging services so that they are essentially one application with three different interfaces could make it much harder for a court or regulator to order a breakup of Facebook’s properties, as some critics are proposing. In its antitrust case 20 years ago, Microsoft famously argued that even though its web browser was originally a separate application, the browser’s code had become too deeply entwined with the Windows operating system to remove. Microsoft lost that argument, but Facebook’s lawyers and developers may be able to learn from its predecessor’s mistakes. Facebook’s integration plan is all about improving interoperability among its own “family of apps.” But regulators and many users will also want to know whether Facebook’s changes will help, or hinder, the messaging services’ ability to communicate with users on competing services. Apple runs its own vast text-messaging universe (iMessage), and the mobile phone carriers run another. Messages can easily cross those systems, but Facebook’s messaging remains a world apart. Zuckerberg has decided that all of the services should protect users’ messages with end-to-end encryption by default, currently offered only on WhatsApp, according to the Times report. No details are known of Facebook’s plans, so it’s impossible to say whether they will ultimately enhance user privacy or end up sparking new data scandals. But Facebook’s controversies over sharing user data have left a residue of mistrust in parts of the public and with some legislators, who will be less likely to give it the benefit of the doubt. Given Facebook’s mission — “build community and bring the world closer together” — it makes sense that Zuckerberg would look at three separate messaging products and want to unite them. Yes, but: People’s lives are tangled up in these apps in complex ways. 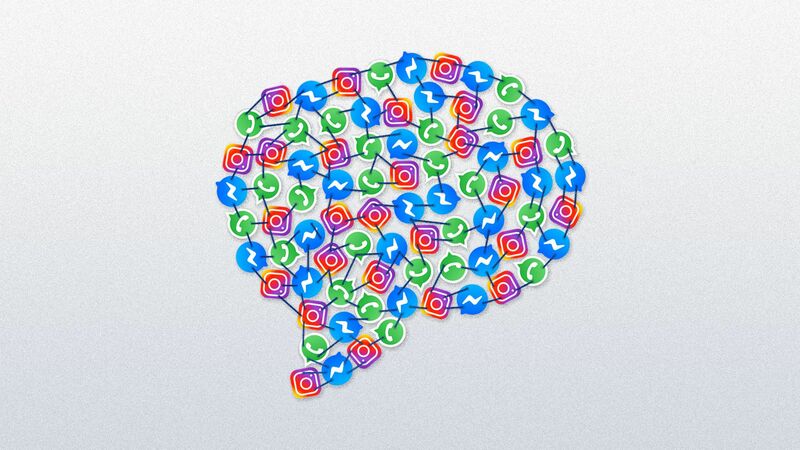 Instagram and WhatsApp evolved as separate products with their own unique features and user behavior patterns. WhatsApp let users sign up for accounts with nothing more than a phone number, but Facebook is committed to users’ having a single “real-world” identity. Instagram has become a petri dish for memes, “influencers” and other epiphenomena of visual online culture. Many users of Instagram and WhatsApp don’t realize they’re on Facebook-owned turf. Linking the services will tie their public images to Facebook’s, which has taken a beating, Axios’ Ina Fried notes. Treating these vast digital realms as interchangeable reservoirs of users may leave a bad taste for many, but that’s not likely to slow Zuckerberg down. Facebook has a record of rearchitecting the social landscape for its own needs without users having a say. The social network sparked its most famous user rebellion back in 2006, when it first introduced the Newsfeed. The protests died out; the Newsfeed is the very heart of today’s Facebook.